Take a break from planning your AVC entry to take a look at the new products for this week. You've most likely been perusing the new rules and regulations for this year's AVC. It's going to be quite the competition this year. Don't worry, you have a few months to build your vehicle. So, pop a squat and take a gander at the new goodies for this week. Let's give a round of applause for my lovely assistant scruffy coworker Dave. But don't worry, no Daves were hurt in the making of this video. Well, that's our story and we're sticking to it. Enough tomfoolery, let's look at the list for this week. Just look at all their different colored hats! These buttons are cool and we're strangely excited to finally have them in. 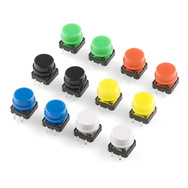 These buttons are breadboard friendly and they have different colored snap-on caps. We sell them in packs of 12 (2 of each color). If you've been following our new product feed, you've seen a lot of retail packaging show up. Don't worry, we are still going to carry everything just as before. We now have a lot of new retailers that want our products in convenient and easy to display packaging. So our most popular products will start appearing in retailer-friendly clamshell packages. This is good news for our distributors, but won't affect most of our normal customers at all. 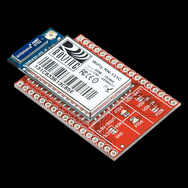 This week we've added and Arduino Pro Mini, LS20031 GPS Module, the ADXL345, and the trusty BMP085 barometric pressure sensor to the retail lineup. They say you can't judge a book by its cover. This familiar adage certainly holds true for our next product. 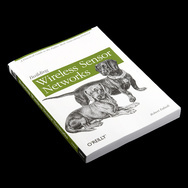 Although it features a pair of dogs on the cover, this book is actually everything you ever wanted to know about setting up ZigBee wireless networks. From selecting the right modules to setting up complex networks, this book covers it all and is a must for anyone interesting in using XBees. 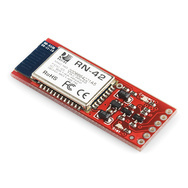 A little while ago we announced the RN-42 Bluetooth module. Instead of being a Class 1 like it's brother, the RN-41, it's a Class 2. This means it has less range and costs less money. This works out well for anyone who doesn't want to pay for the extra range they don't need. Our new Bluetooth Mate Silver uses the RN-42 to provide a much cheaper alternative to the Bluetooth Mate Gold. We have a new revision of the WiFly GSX Breakout Board. This new version adds some fancy LEDs for indication and cleans up the layout of the board for improved performance. The LSM303DLH is a pretty special IC. 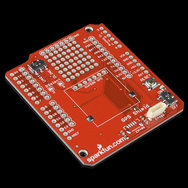 It combines information from a triple axis accelerometer with a triple axis magnetometer to give you tilt-corrected data. We have a simple breakout board for the LSM303DLH which breaks out all the necessary pins and gives you the basic hardware to get up and running. 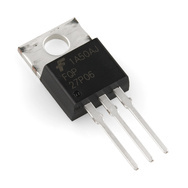 We are now carrying a simple P-channel MOSFET in addition to the N-channel MOSFET we've been carrying. 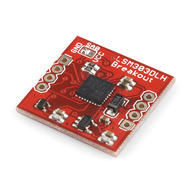 This little guy can control 60V at 27A allowing you to control high-power devices with low-power microcontrollers. 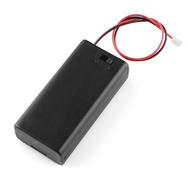 It's handy to have around and can be used in place of a mechanical relay in most cases. So by now you've probably dulled the blades on your hobby knife trying to emulate the Ginsu knife infomercials. 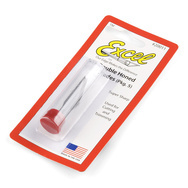 We are selling replacement blades in 5-packs that go with our hobby knife, so you're in luck. I really love these battery holders. They come in handy for batteries of course, but I've also used them as mini project enclosures too. They have an on/off switch and enough room for a Arduino Pro Mini inside as well. This new version's leads are terminated with a JST connector so you don't need to terminate the ends. We have a new revision of our GPS shield. 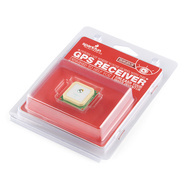 This one has a header and footprint for the SUP500 GPS module, which ironically we've just discontinued. These boards were made beforehand and are still quite useful. 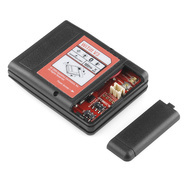 You can use the SUP500 header as a generic header for any GPS module. The footprint should be big enough for modules like the EM406 or the LS20031. 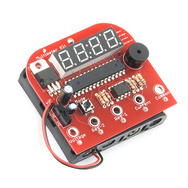 We also have a new version of our popular multimeter kit. We are now including the test probe cables with the kit, so you don't finish building the kit only to realize you forgot to buy the cables. And lastly, we also have a new revision of the WiTilt. The old one used a MMA7260Q accelerometer while the new version uses the newer MMA7361 accelerometer. Other than that, it's the same WiTilt you've grown to know and love. So, that's all for this week. We've already had quite a few people sign up for the AVC, so it looks like this year is going to be nothing short of epic. Thanks again for reading and we'll see you here again next week! Read the spec sheet carefully, specifically Figure 9 on page 4 (for P-channel) or Figure 4 on page 3 (N-Channel). You have to stay inside the thick black line (assuming DC). I wish it were better labeled, but that means: (1A at 60V) or (27A at 3.5V) or (around 22A at 5V) or (around 8A at 12V), etc. This really should be pointed out on the product pages. Hey, who wants to hear my idea for another SparkFun quiz?!? I didn't know you could link to a youtube video at a specific time! Useful trick! only bad thing though is you have to have clicked the video player atleast prior to doing this..
Xbee controlled slaves! Good job! Personally, I don't like the additional packaging. It's extremely wasteful!! There are separate listings for the retail packaged versions. 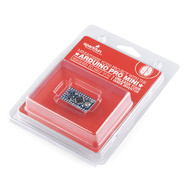 For example, here's the 3.3V Pro Mini: http://www.sparkfun.com/products/9220, here it is in retail packaging: http://www.sparkfun.com/products/9892. It's up to you which you buy. They won't send you one. As long you are a "normal customer" (buy directly at Sparkfun). The new packages will be used for stores and resellers. i like that enclosure for the WiTilt. you guys should think of making a bigger enclosure category. any chance that enclosure could be sold separately? haha, thanks everyone! they are the fun part of my week too. It's always a good time making them. Thanks for the comments. Don't worry. Whether they admit it or not, they are all jealous of you. is it just me or did you just point out my life in that sentence? Yeah... It's kind of weird to be the only pre-teen in your homeschool group who knows why it's cool that the famous Korg nanoPAD uses a TQFP ATmega32 which is of the same family as the microcontrollers on the ignored Arduino board. How about a meter for imaginary impedances (6). Can't you just connect the positive input to Gnd, and the Gnd input to the negative voltage? That should work for most applications. AVC 2018 registration is open!